This free online course begins by introducing you to Bootstrap. You will study the different themes that can be used to easily reskin a website and learn what a Responsive UI is. The course will then teach you the three main groups of components in Bootstrap. You will learn how to group components for organising content in web pages and how to use Bootstrap objects such as glyphicon icons and buttons. You will also learn how to include these objects in a website. Next, you will study the navigation components that you can include in a website such as a Navbar and Pagination. You will look into page design and layout, study the four different grids depending on screen size, and learn how to move and control the placement of content in a grid. You will also learn how to create a form for data entry, as well as understand the difference between the grids in Bootstrap to HTML tables. This free online web design course is designed to make it much easier to learn how to create responsive websites for tablets, mobile phones, and desktop computers and laptops. However, a pre-existing knowledge of Web Page Design using HTML5 and CSS3 will help to make this learning material more accessible, so check out Alison's courses on HTML first if you need to. Otherwise, get started with the course today and bring your Bootstrap skills to the next level in no time! Describe the helpfulness of using Bootstrap to upgrade/develop a website. List the types of components found in Bootstrap. Describe how to bring Bootstrap components into a website. 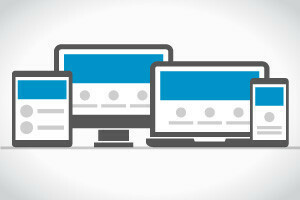 Explain the importance of a responsive design for a website. Discuss how to use grids in Bootstrap. Describe how grids in Bootstrap are different to HTML tables.